Bobby's by the Sea Is Hosting the Blues Against Hunger Jamboree! BOBBY'S BY THE SEA THE HOME FOR BLUES AGAINST HUNGER JAMOREES! 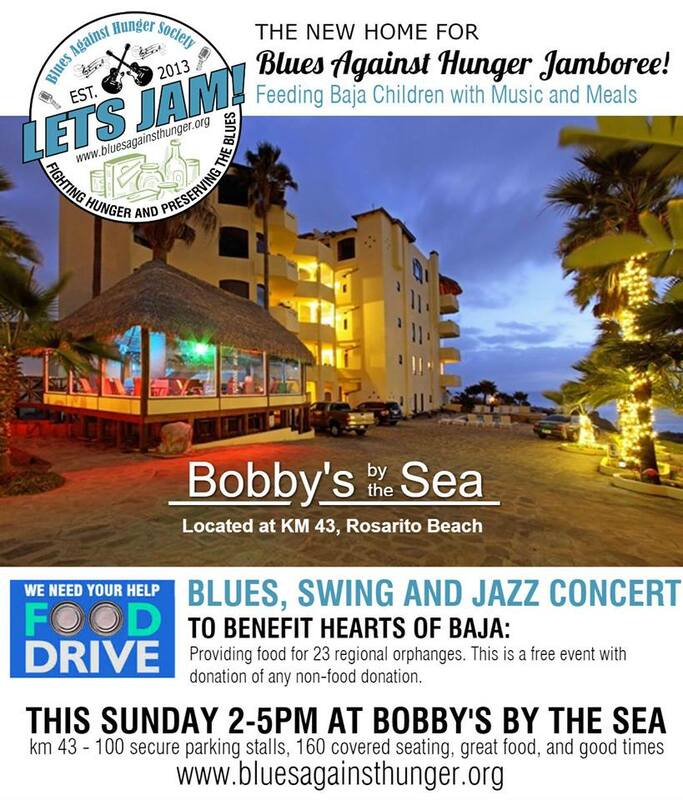 Sundays through to Sept 1, 2018, 2PM-5PM the beautiful Bobby's by the Sea Resort at KM 43 will be hosting the Blues Against Hunger Jamboree! The Blues Against Hunger Rosarito blues fans have raised over 3000lbs of food, our goal is 5000lbs and we know with your help we can do it. Blues Against Hunger gives 100% of all the food raised to HEARTS OF BAJA and their efforts to feed hundreds of children in 22 orphanages within the region. This is really wonderful for the event with a great venue by the sea with 100 secure inside parking, covered seating for 160, with seating inside and out, plus a great menu from steak to sushi. If you love blues, swing, jazz and just having a good time, all while helping your community, please come out.